Welcome to the Czechoslovak Genealogical Society International (CGSI). Our purpose is to promote Czechoslovak genealogical research and interest among people with ancestry in the Czechoslovak region as it was in 1918, including families of Czech, Bohemian, Moravian, Slovak, German, Hungarian, Jewish, Rusyn, and Silesian origin. A genealogy side produced in Poland … It’s in Polish and English. Records for 1909 and after: Vital records in Poland are recorded in each town’s Civil Records Office (in Polish, “Urz?d Stanu Cywilnego”, abbreviated “USC”), and those records less than 100 years old are generally still kept there. USCs are typically located in the City/Town Hall…….. Records for 1908 and before: Records older than 100 years are held at the various branches of the Polish State Archives. In July 2000, the Polish State Archives instituted a new system, specifying that requests for information or research are to be directed to the specific branch holding the records in question, rather than the main archive in Warsaw. I am sorry you will have to check this one out for yourself as I don’t speak one word of Polish. Prussia formerly included part of the lands which now belong to Poland. 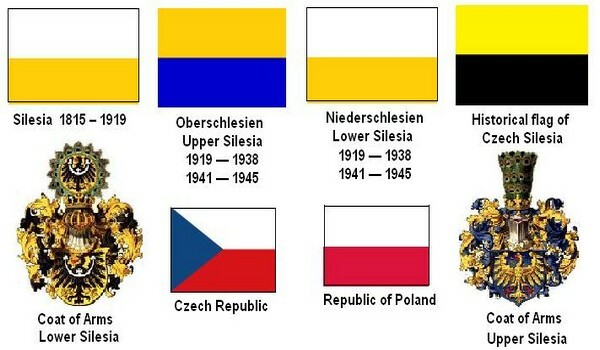 These are the former lands of Pomerania, West Prussia, East Prussia, Posen, and Silesia. Documents which were created in these lands (provinces) are a result of Prussian administrative regulations. They were usually kept according to the same rules and that is why their format, size and shape are very similar.